Technology, in many ways, has been great. 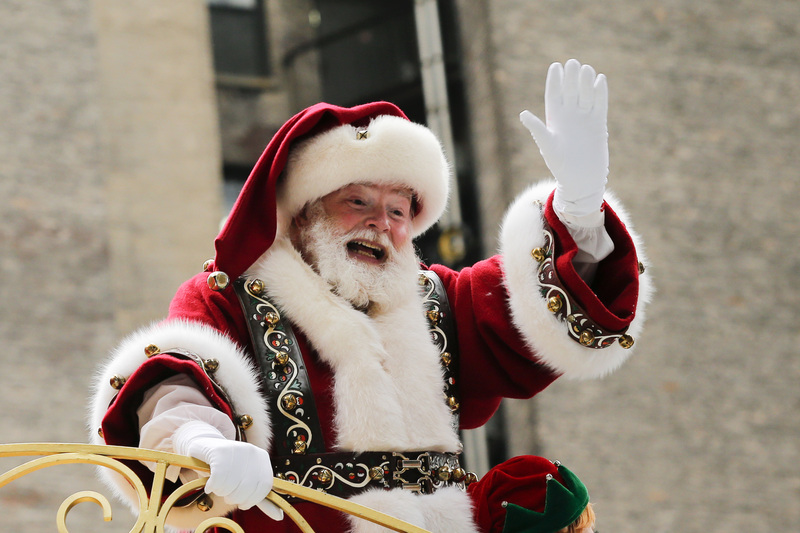 We've got smartphones, hover boards, wireless ear buds that make us look like spies — and now, they've figured out how to track Santa with Google. Because it's the 21st century. Get with it. After pairing with the North American Aerospace Defense Command (NORAD)'s long-running Santa Tracker from 2007 to 2011, Google later broke off and began to keep tabs on the big red guy on their own. This year, they'll be bringing in two new elements to the holiday celebration: A focus on educating kids about traditions from around the world, and teaching some coding basics. If you think those two elements aren't related, well, then, yeah, fine. They're not, really. But Google somehow makes it work anyway — and besides, getting kids into STEM is definitely a worthwhile goal. From now until Christmas, the Google Santa Tracker will reveal a new feature each day that falls under one of three categories: Play, Watch, or Learn. So far, we've been gifted with a build-your-own Rube Goldberg machine, a cartoon about Santa, several coding exercises, and — my personal favorite — a holiday phrase translator. Though the GPS component to the Santa Tracker doesn't launch until Christmas Eve on Dec. 24, there are plenty of elements to keep kids (and let's be real, adults) occupied. Check them out! First things first: You gotta get acclimated to this beautiful, elf-ridden tundra. Stop by the North Pole airport, where the TSA isn't so concerned with their guests' luggage as they are with their ensembles. So far Google has launched two different coding exercises: a build-your-own snowflake game, and Coding Lab, which tasks you with building all kinds of North Pole creatures. If you find any of these weirdly hard, remember that these games are intended for literal babies and let that give you some optimism about the future. Learn About Traditions Outside Your Own! To supplement their map of holiday traditions, which allows users to click on digital pushpins and read up on holiday celebrations across the world, Google has launched a translator, with a host of languages. Ever wondered how to say "Season's greetings" in Turkish, Thai, and Elvish? Have more fun with Google's Santa Tracker here, and don't forget to tune in on Dec. 24 to follow along with his journey!